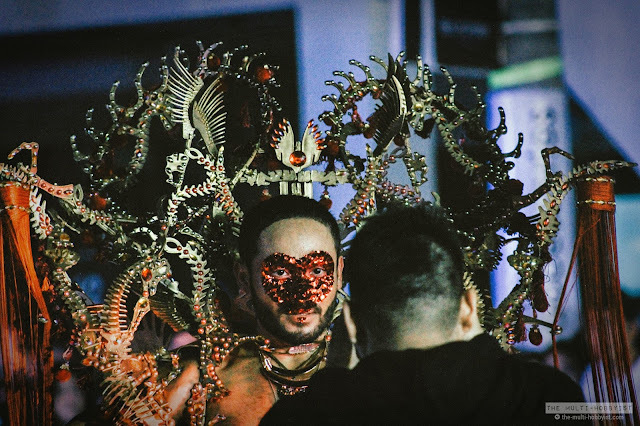 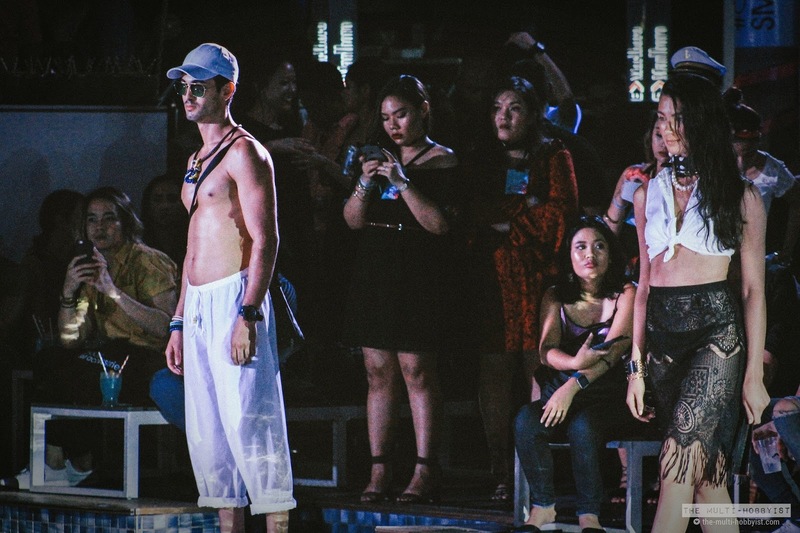 Last March 3, /ESCAPE celebrated their first year anniversary at The Palace Pool Club with American electropop singer Kiiara (I previously posted about my gig coverage here). 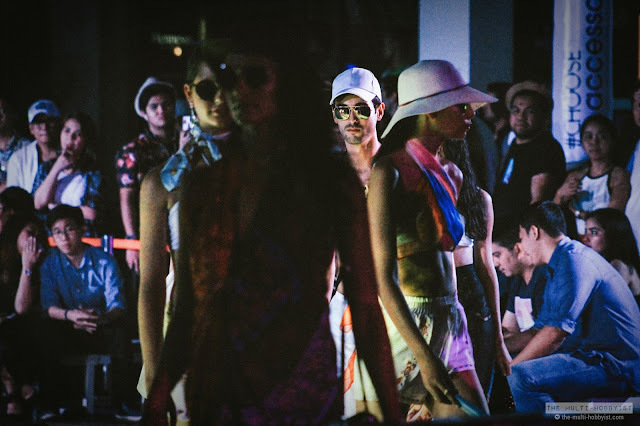 The event was co-presented by SM Accessories, so of course, the night did not end without them showcasing their must-have pieces for this summer. 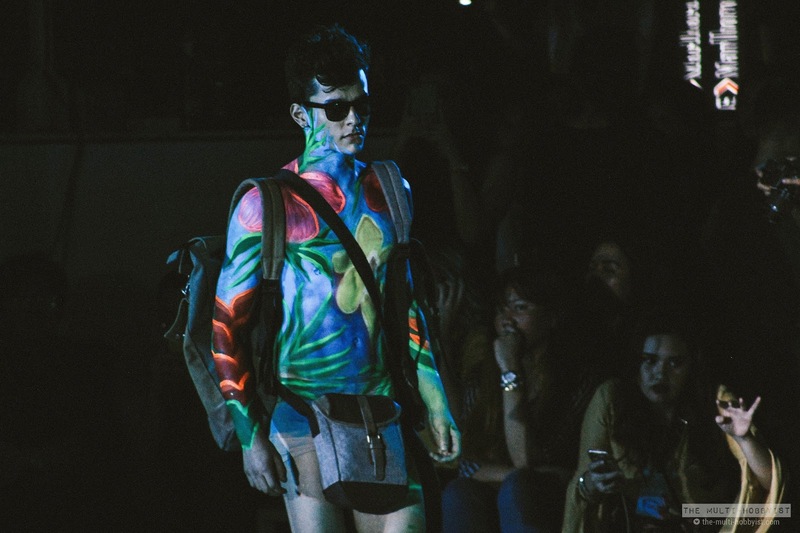 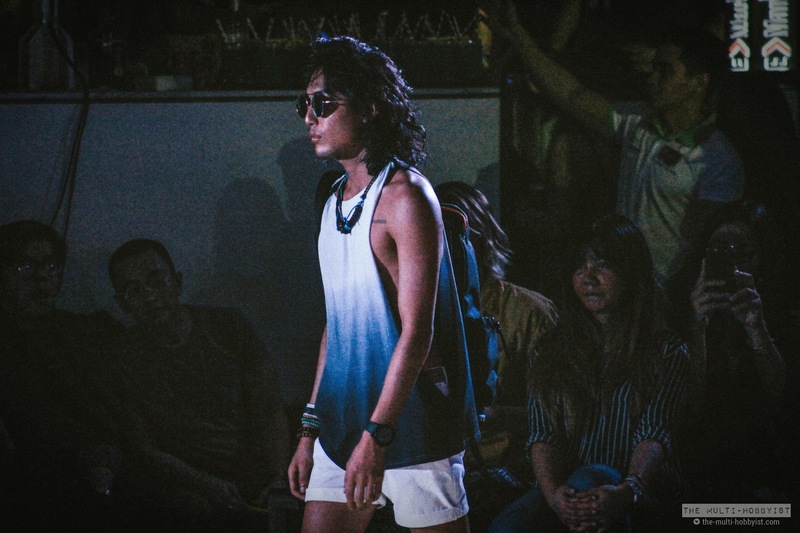 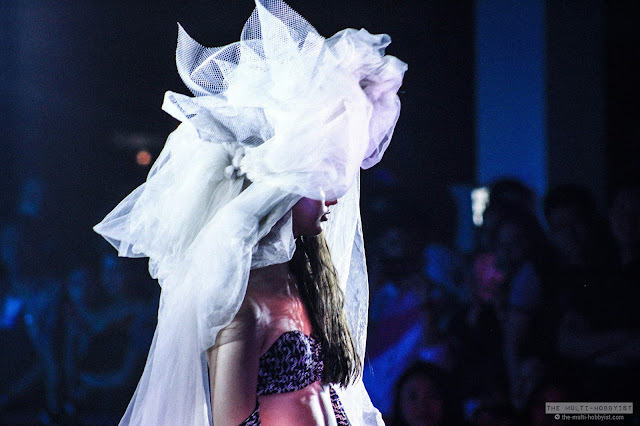 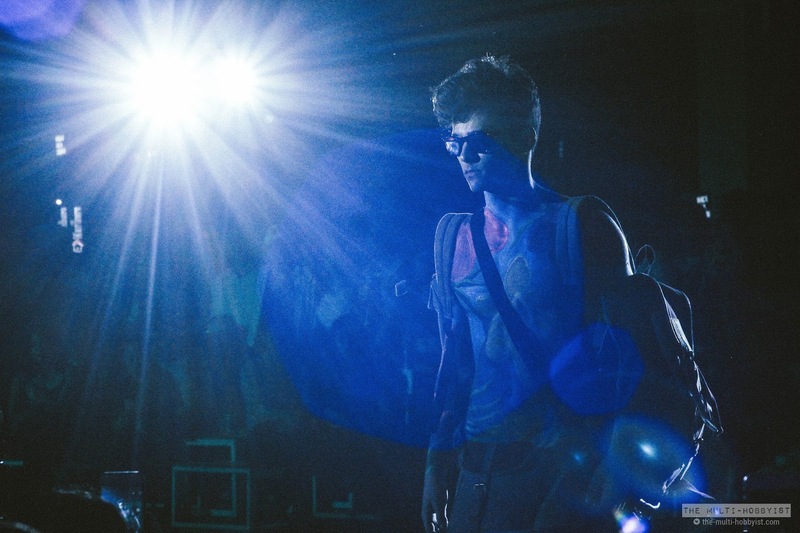 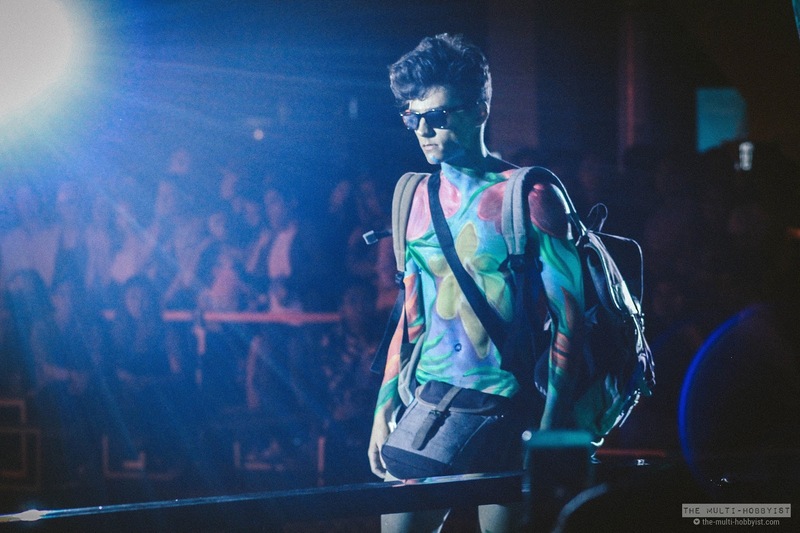 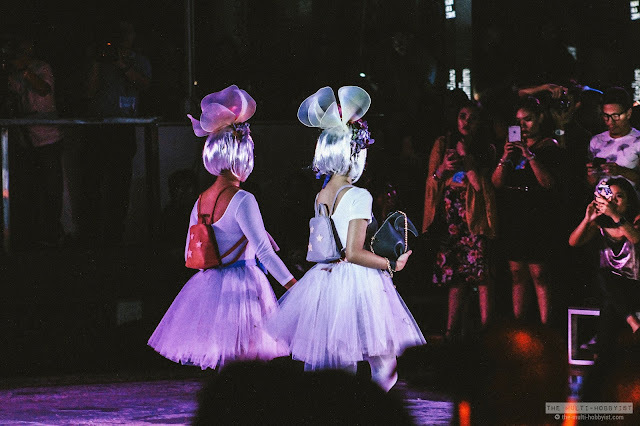 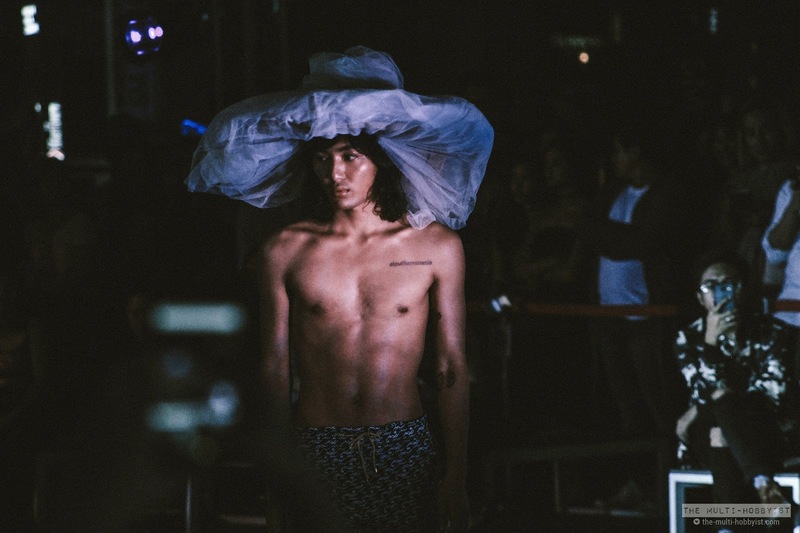 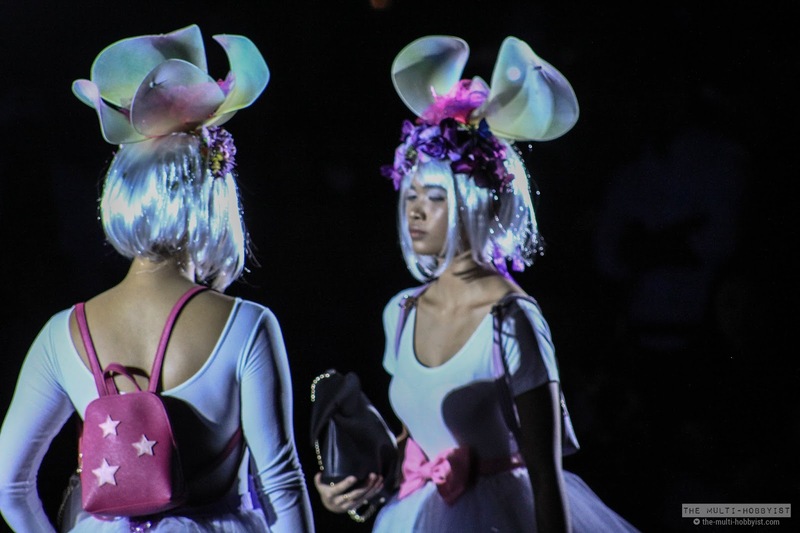 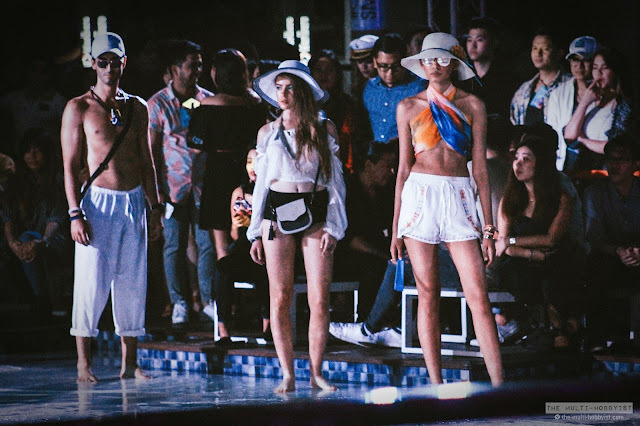 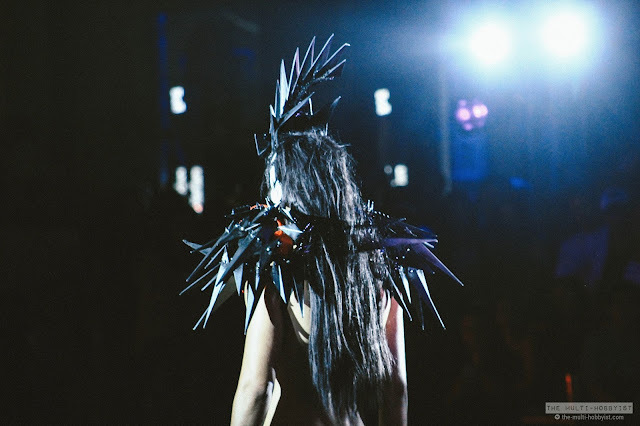 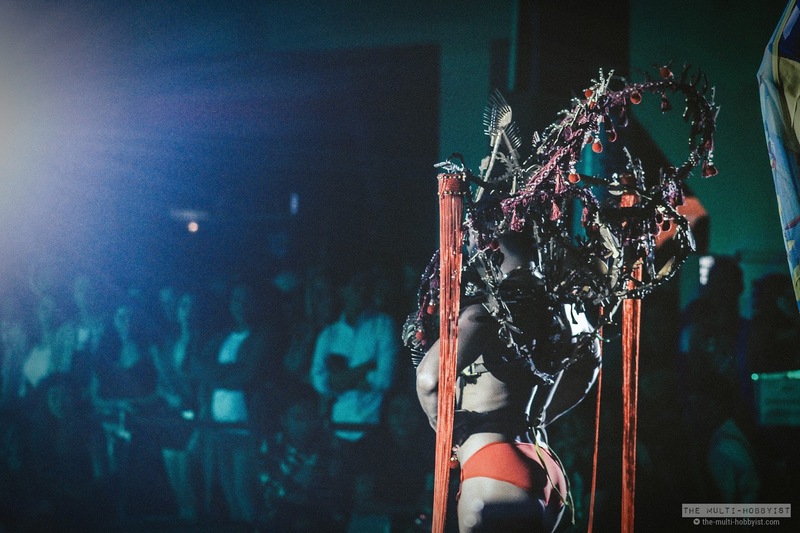 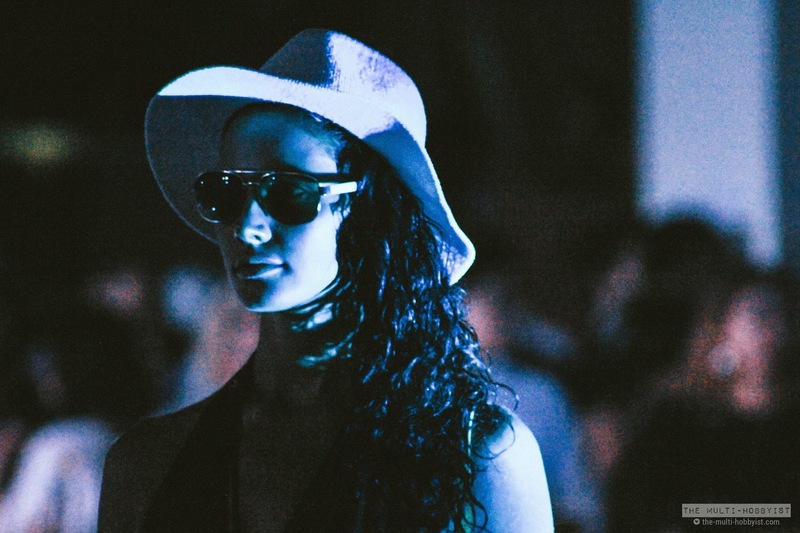 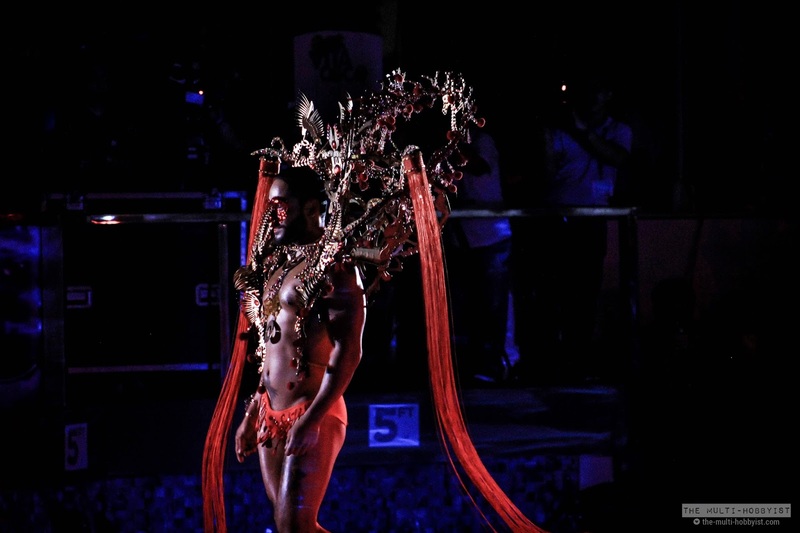 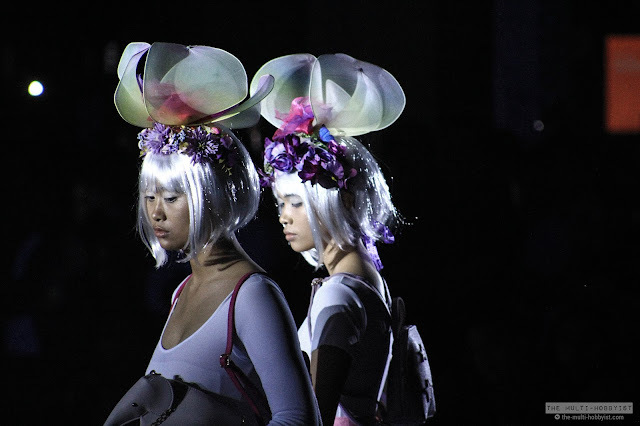 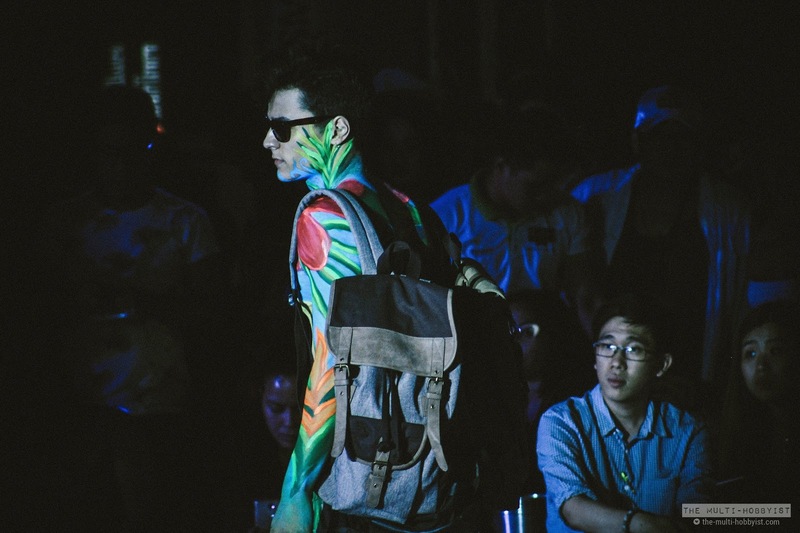 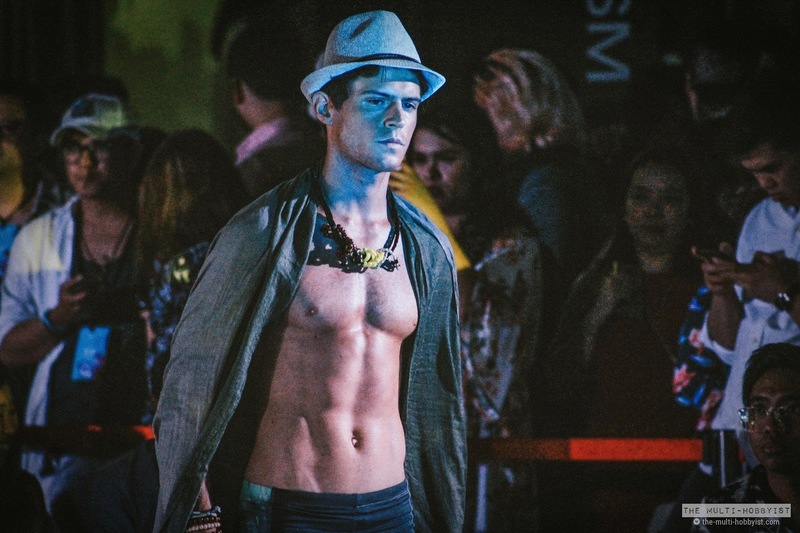 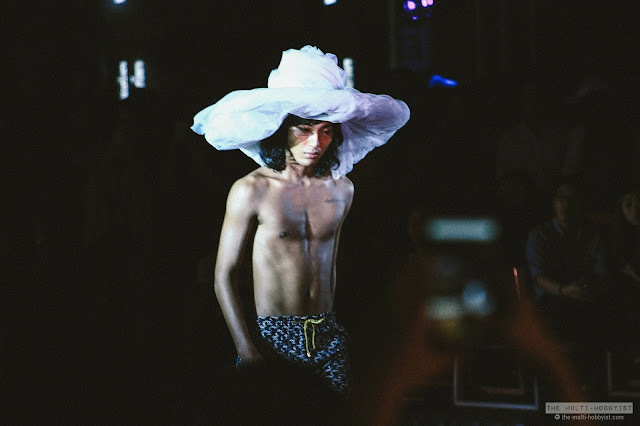 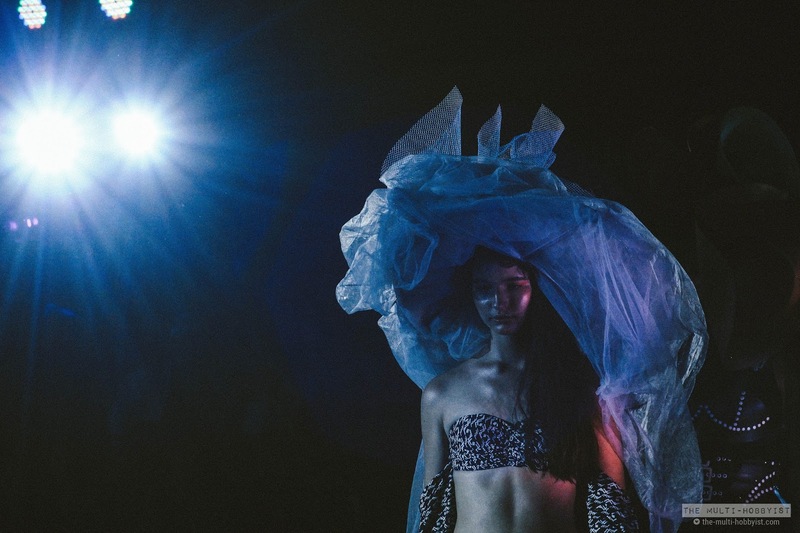 The fashion show started at around 11 pm with SM Accessories’ avant-garde themed Summer fashion show. 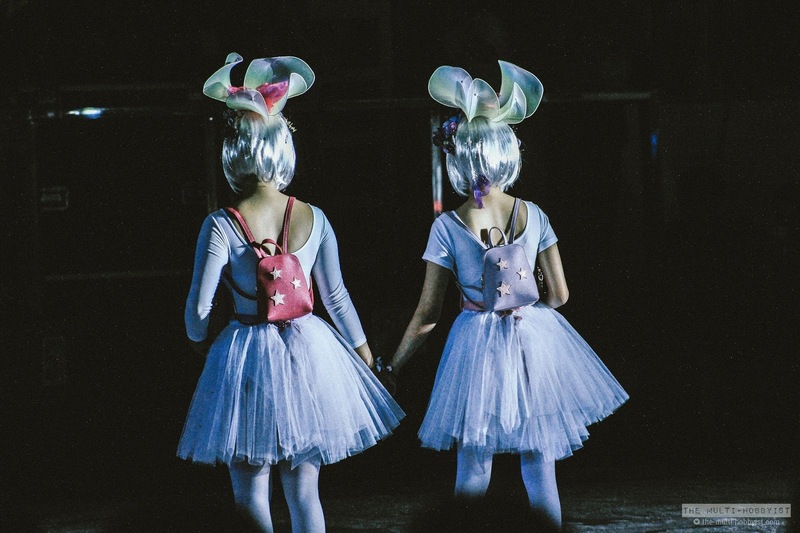 The first half of the show featured more unusually (in a good way) themed outfits. 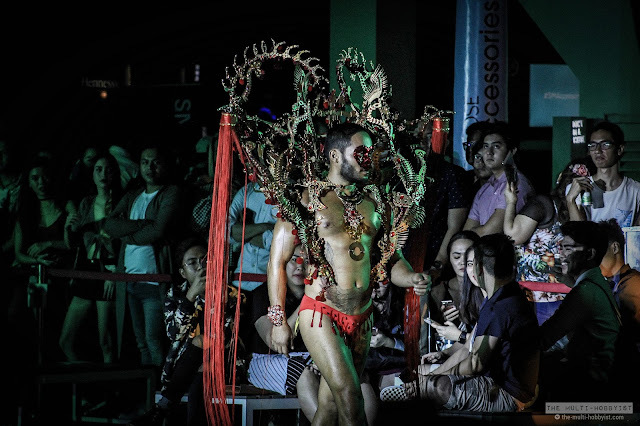 To everybody's surprise though, Sinon Loresca aka "Rogelia" from Eat Bulaga's Kalyeserye appeared with the most fabulous Victoria's Secret-like "wings" and did what he became famous for: "cat-walking". 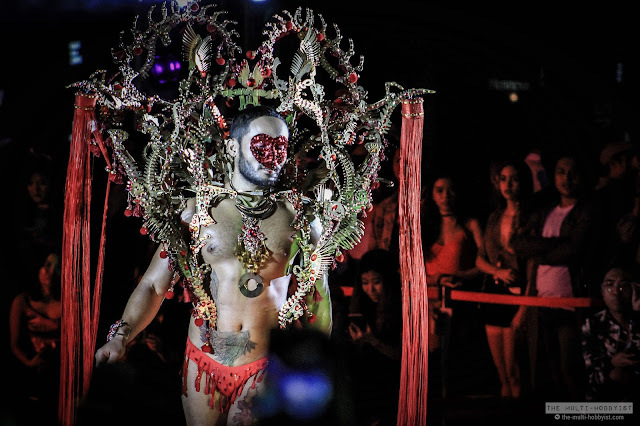 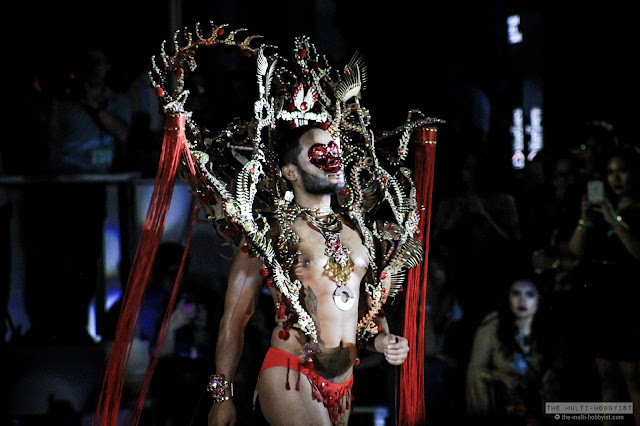 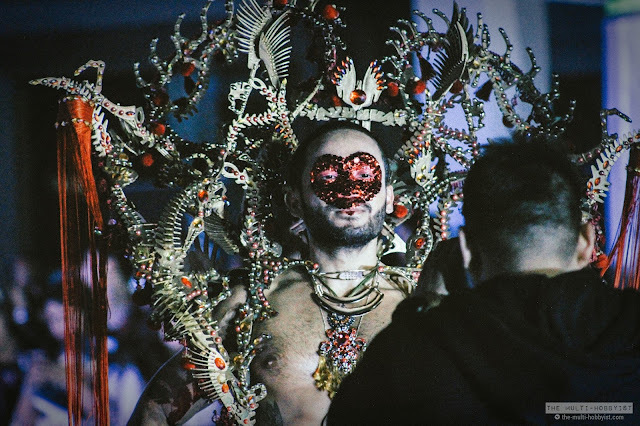 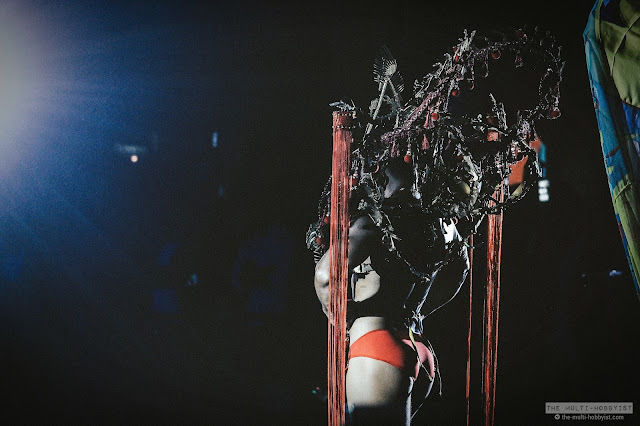 Clad in a tight red brief, gold body-piece and high heels with his chin out and booty tooch on point, he clearly dominated the runway. 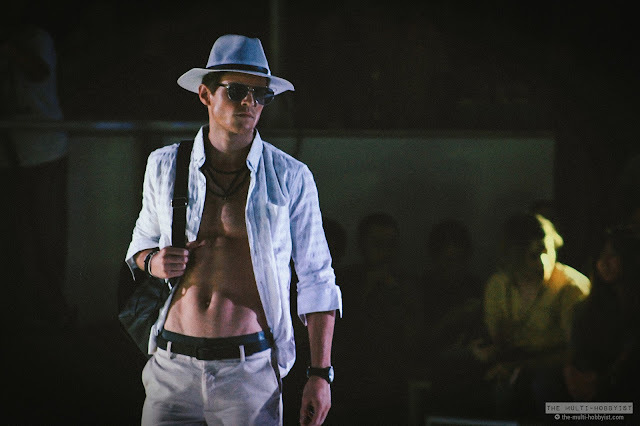 Need I say more? 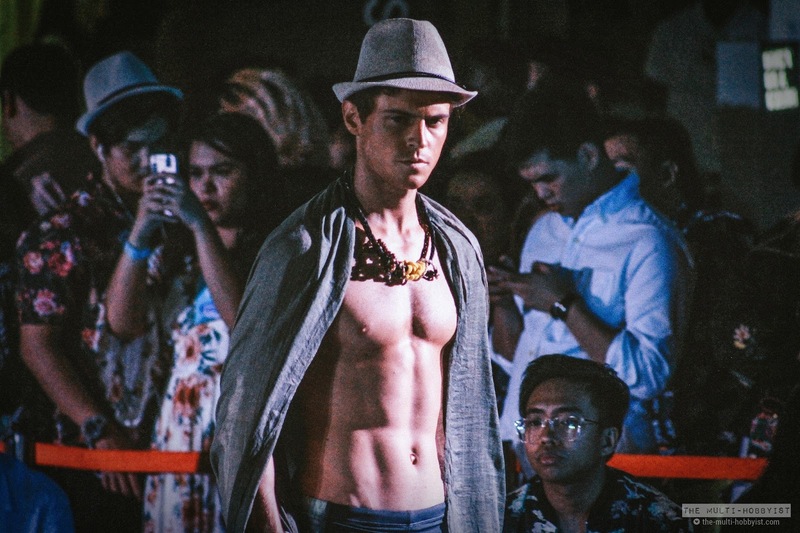 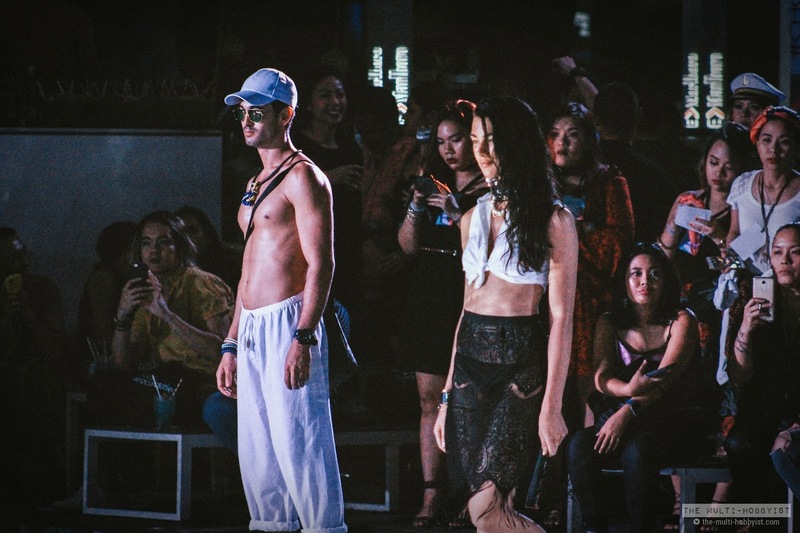 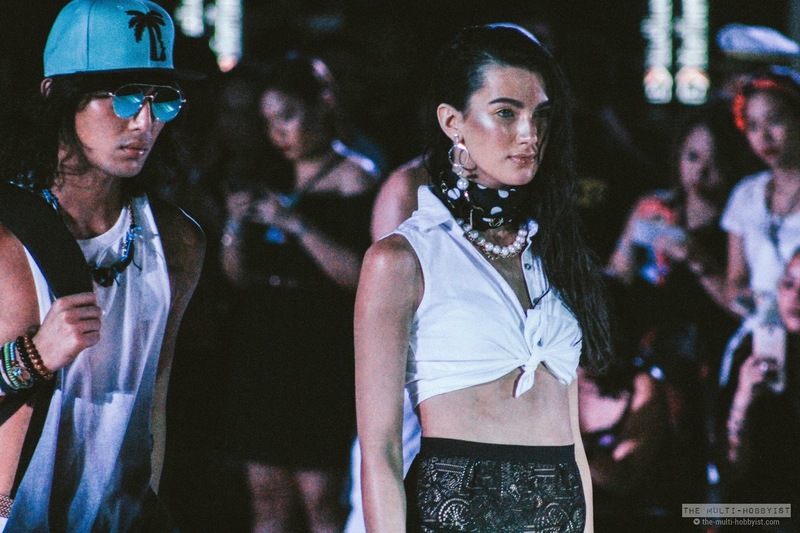 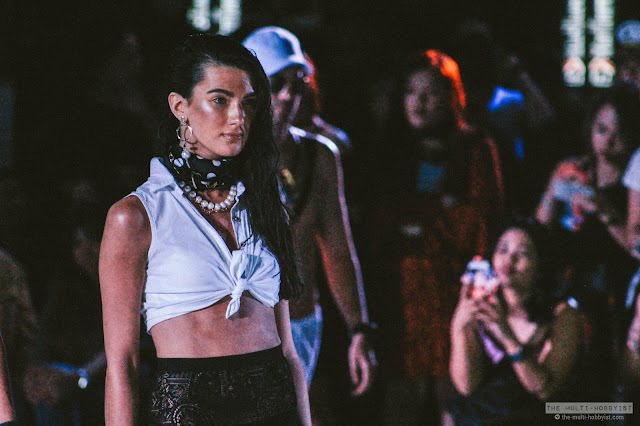 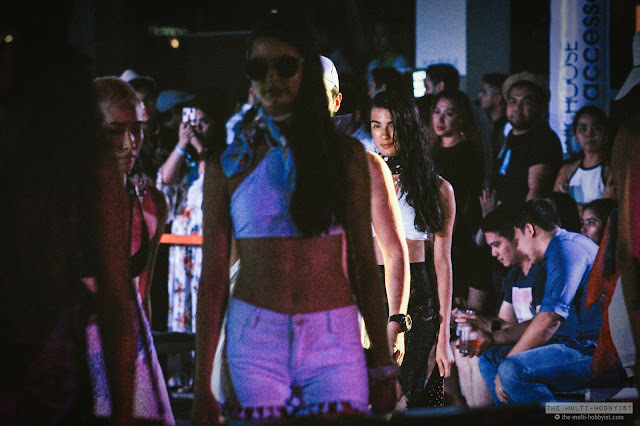 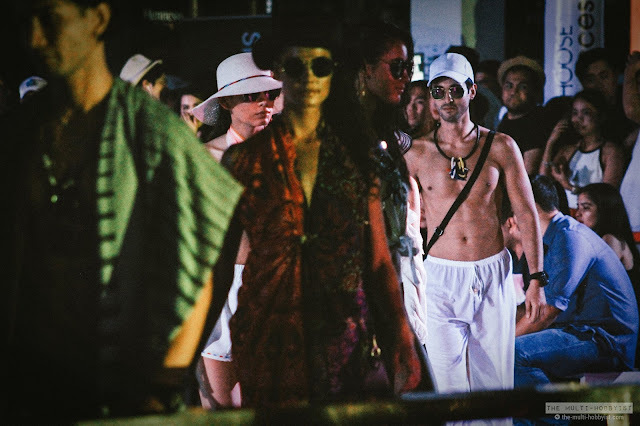 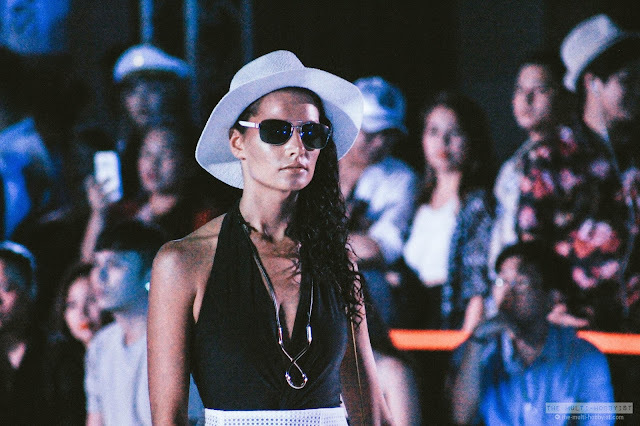 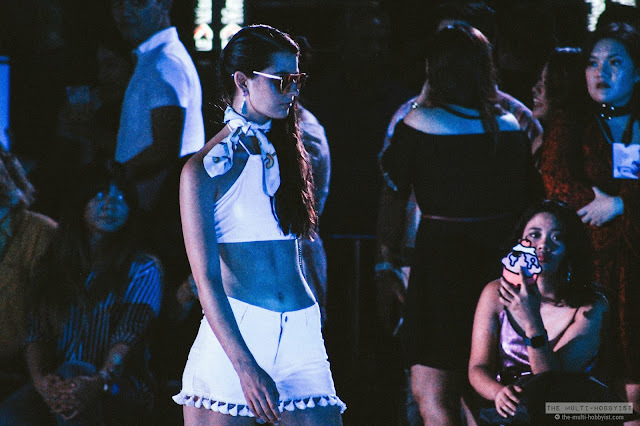 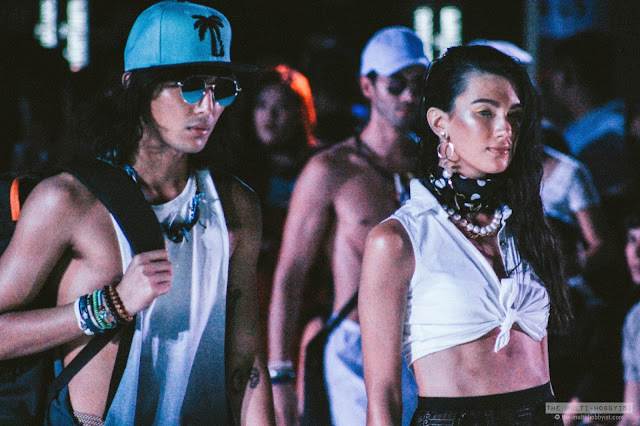 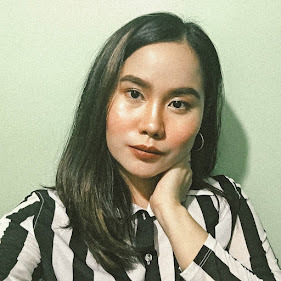 The second half of the show featured classic and boho-ish summer-ready items ranging from apparels, swimsuits, sunglasses, hats, and whatnot. 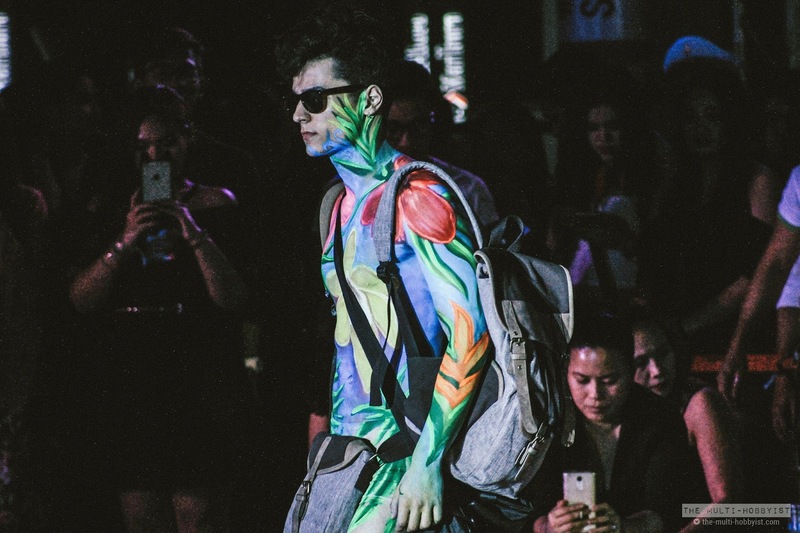 The models walked to Lesha and Elm Wrld’s sick beats, with the duo covering The Chainsmokers and Coldplay’s collaboration, “Something Like This” which the audience happily danced and sang to. 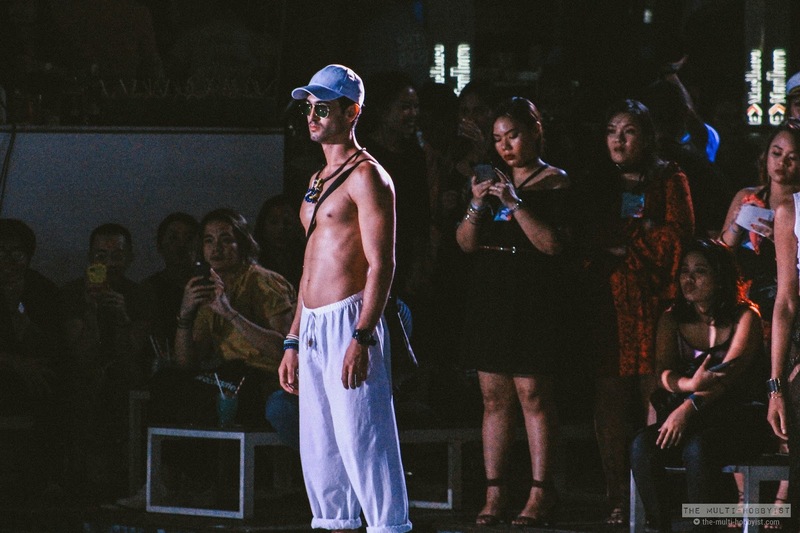 MC-ing in between is Nix Damn P.
And then for a finale, the king of the catwalk, Sinon, went back and strut his stuff along with all the other models.